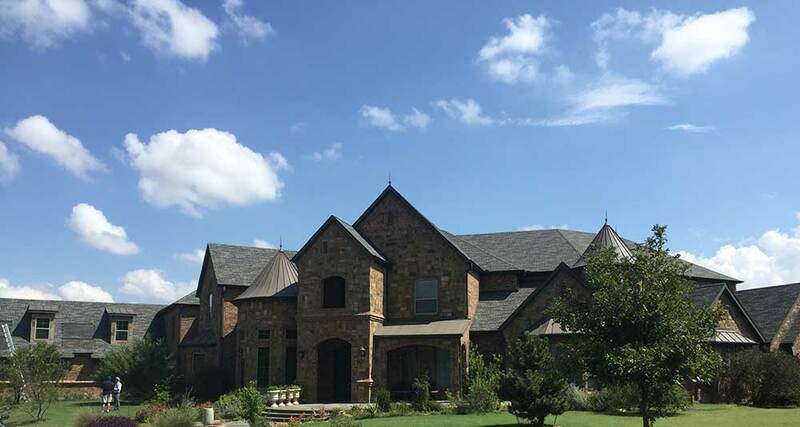 SPC Construction and Roofing, as your top residential Plano roofing contractors, offers incomparable residential roofing services in Euless, Colleyville, Frisco, Grapevine, Southlake and beyond. We are your one stop for your residential roofer in Plano. Our assorted services make SPC Construction and Roofing expert residential roofers. As the best roofers in Plano, no matter your roofing need, we will work out what’s best for you and within your budget. Aren’t sure about what sort of roofing will be best for your needs? The team at SPC Construction and Roofing will do a full-service inspection and recommend what will work best for you. One option is asphalt roofing. This common roofing material is a lower cost option for many types of roofs and was initially used to replace wood shingles on old roofs. This roofing option assists in resisting against wind, hail, algae, and even sun damage. Learn more about our asphalt roofing options. Tile and slate roofing options offer beautiful and visually appealing roofs. While functional for keeping rain and other debris off of your roof, both tile and slate come in various styles to suit your personal preference. They’re both great insulators, which helps with your electric bills. Learn more about our tile and slate roofing options. Metal roofing options are a cinch for SPC residential roofers. Metal roofs are a cost-effective option when considering how long they last for. A metal roof has optimal longevity over any other roofing style. It is also great for reflecting light, which cuts down on cooling costs in the summer. Learn about our metal roofing options. SPC Construction and Roofing takes your residential roofing services seriously. We work hard to stay within your budget and will find the best time suited to your needs to ensure you’re getting the best service possible. SPC residential roofing provides great options for your ideal roof and offers free estimates and inspection of your current roof. That’s why we are your best Plano roofing contractors! Contact us today for your perfect roofing solution!